The High Performance GSM/GPRS Aerial (includes a 5m lead and MMCX adapter and Mounting Bracket). The High Performance Aerial is for use with the Emizon TCD. 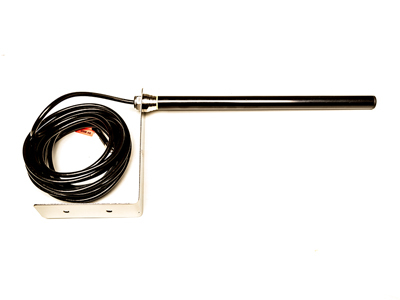 It is supplied with a 5 metre lead and can be mounted internally or externally. It is possible to extend this further by purchasing a CSL Aerial Extension Lead (CS2056). The maximum number of Aerial Extension Leads that can be used per installation is one, increasing the lead beyond this will cause a significant drop in signal strength.